Cloudbridge offers free onsite and offsite educational talks, presentations and hands-on experiences for local community schools and groups. 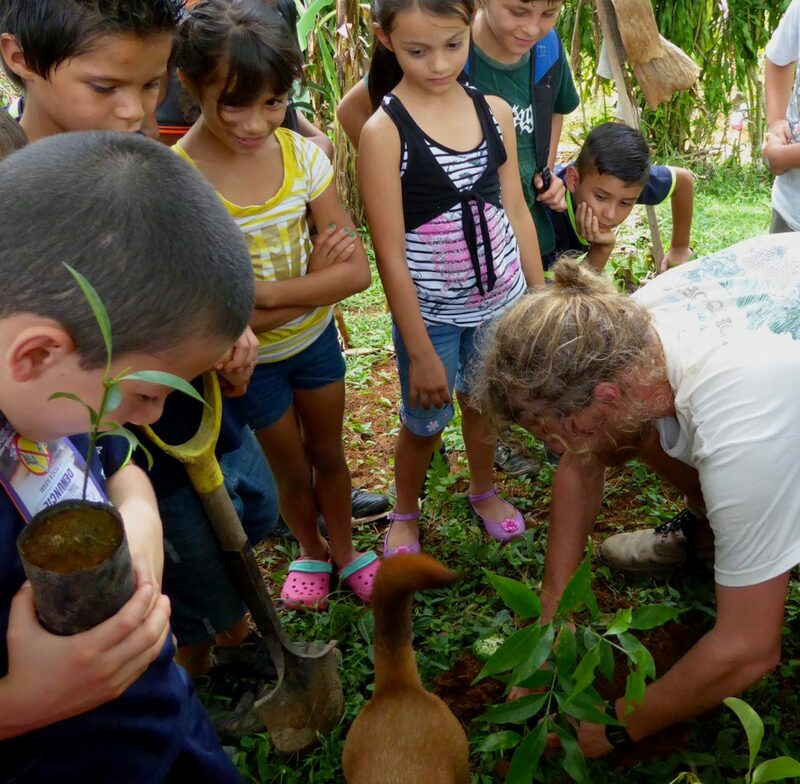 Community education programs are tailored to the interests and abilities of the group and are presented in Spanish. Depending on the scope and needs of the program, sessions range from 1 hour to 1 day. Linda speaking to a local school class about climate change, reforestation and the environment. Guided by Cloudbridge staff, children learn about the amazing plants and animals right in their own backyard. 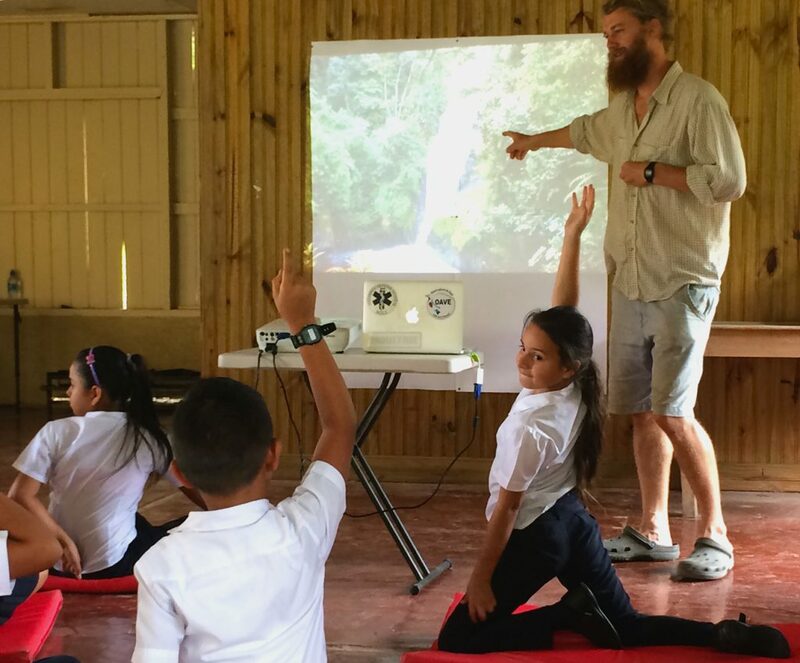 Students are exposed to the importance of biodiversity, reforestation, and climate change, while learning how to plant trees and spot wildlife. Frank at a local school teaching students how to plant trees. Tree planting either within the reserve or on school grounds. All experiences can be provided either at Cloudbridge or on school grounds. Frank giving a presentation to local students on the sights and animals of Cloudbridge. The same educational experiences provided to school groups can also be geared towards adult groups, both on or off the reserve. 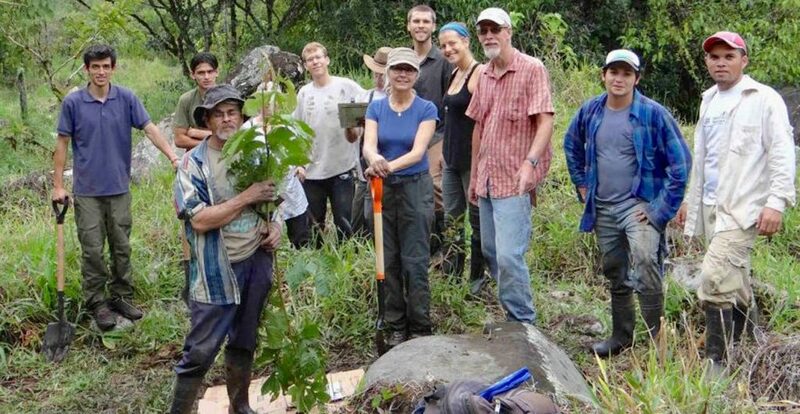 Local community members learning how to plant trees. Community members may be invited to attend when our research interns and independent researchers present the results of their research, allowing interested locals to learn about the research at Cloudbridge. Visiting researchers sometimes host workshops or talks on topics of interest to community members. 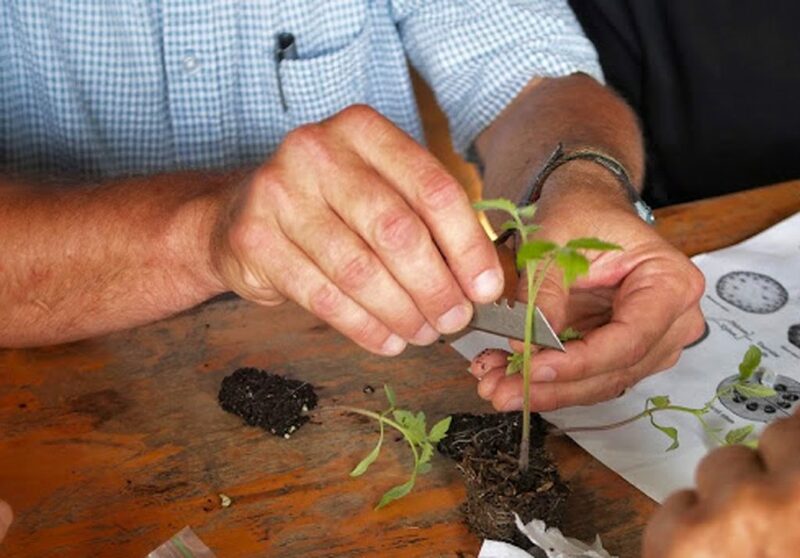 For example, Clarice Esch, a former Cloudbridge researcher and her professor Dr. Martin Stone from Western Kentucky University, put on a workshop for local farmers to introduce a technique of tomato grafting in which the Costa Rican local varieties are grafted onto the rootstock of a Japanese variety. The Japanese variety has a hardy root system that is resistant to soil born diseases, which may enable farmers here to grow tomatoes using less chemicals. Dr. Martin Stone and Clarie Esch from Western Kentucky University giving a workshop on tomato grafting to local farmers. Grafting hardy root stock onto Costa Rican tomato plants. A group of independent researchers from Borderless World Volunteers, an NGO associated with McGill University, hosted a workshop for local women teaching them how to make conserves. They utilized recycled jars and tomatoes that were considered unsellable due to blemishes. 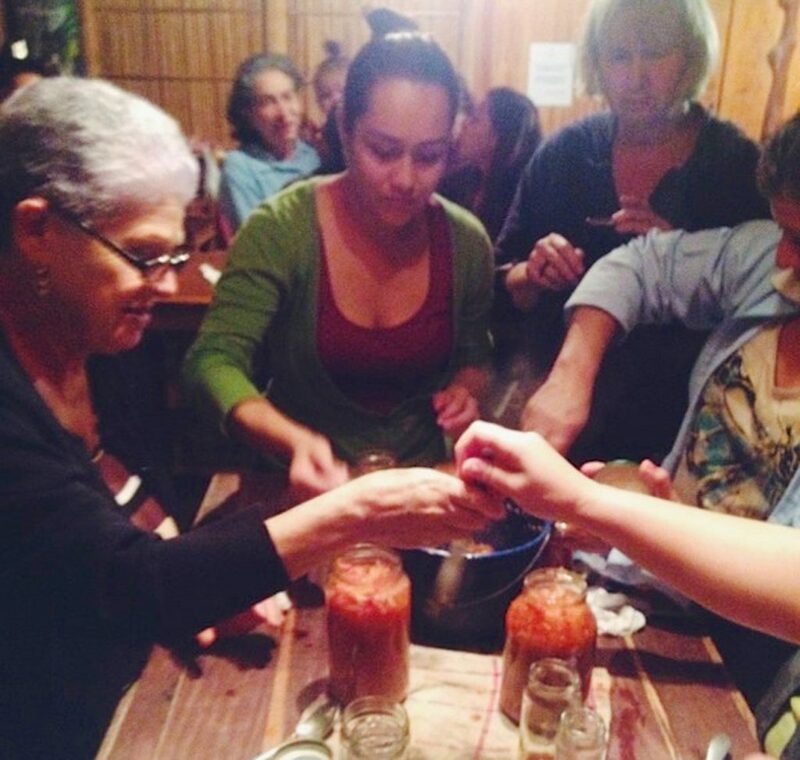 The women learned how to make their own salsas with the intention of helping them start their own conserve businesses. Cloudbridge researchers teaching local women how to make their own salsa.